A dog has been saved from a burning house by firefighters after they administered CPR to revive it. 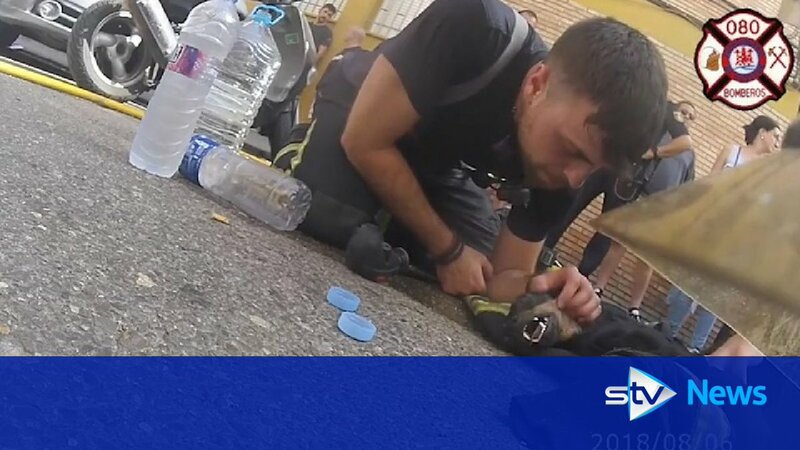 The little animal was discovered unconscious at a property in Córdoba in Spain that had gone up in flames. The officers rushed from the building and doused the helpless pup with water and performed emergency cardiac massage to its chest. After minutes of tireless work, the dog eventually began to breathe again. Luckily, no humans were in the house at the time of the blaze. According to local reports, the dog is now recovering at a veterinary clinic.